Brown rice is very tasty by itself but when you add an ingredient like sauteed dried peaches the flavor gets taken to a different level. 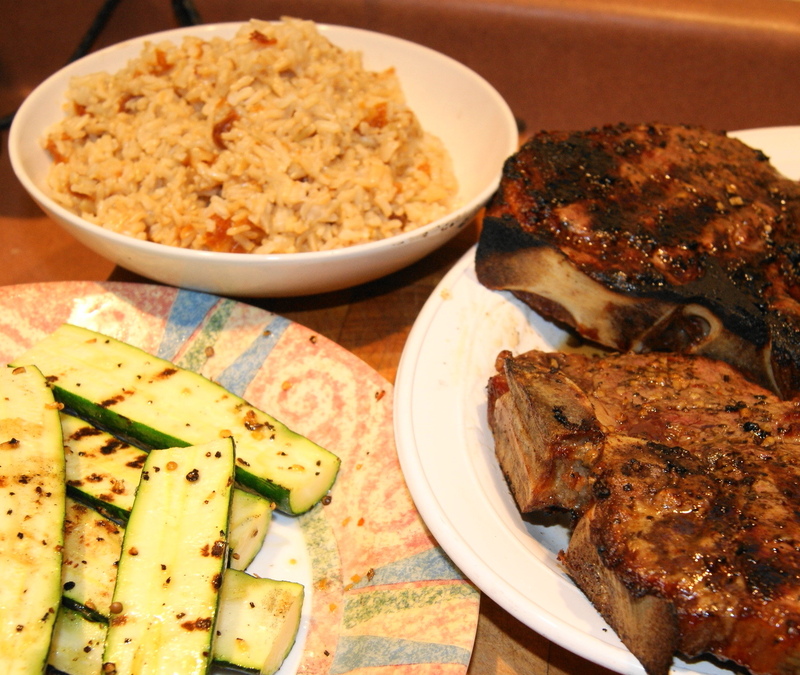 I served mine with some fantastic T-bone steaks and grilled zucchini. Heat the chicken stock to a boil, add the brown rice, stir. Cover the pan and bring back to a bowl. Once boiling stir and reduce heat to a low simmer. Heat the olive oil in a small skillet over medium heat. Add the peaches and saute, constantly stirring. Remove from the heat. When the rice is almost done add the peaches and stir. Remove to a serving bowl when rice is tender and the liquid has been absorbed.